2. Click Send in for Service. 3. Click Setup & Usage. 4. 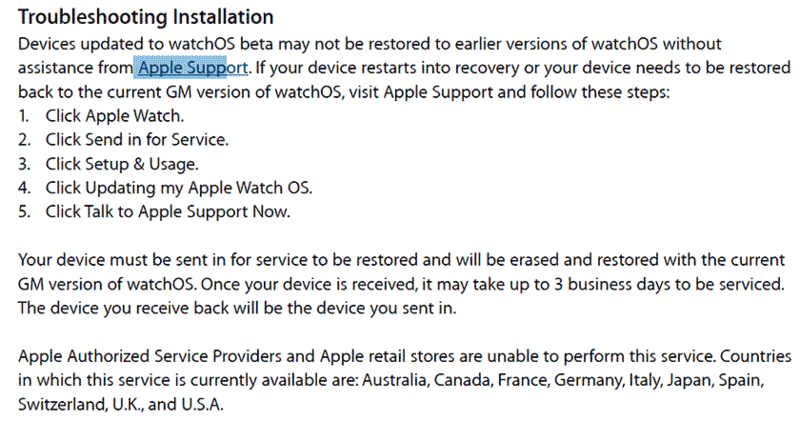 Click Updating my Apple Watch OS. 5. Click Talk to Apple Support Now.